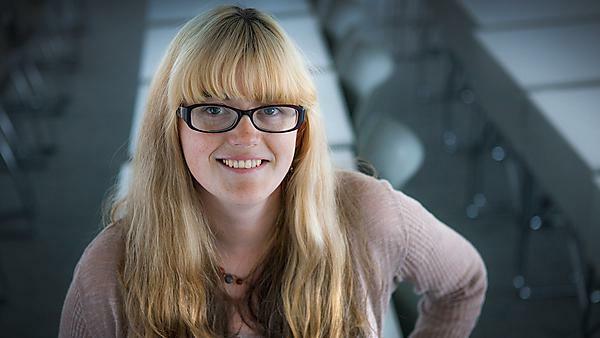 Studying at Plymouth gave Leanne the confidence to present papers at conferences and to successfully gain a coveted, fully funded PhD studentship. In October 2014, I completed my MA. While applying for PhD places, I have been taking a year out to work and save towards the initial living costs of starting a PhD. In May, I was offered a fully-funded studentship at Northumbria University to undertake a PhD focusing on the novels of Charlotte Turner Smith and her contribution to the debate on female education in late 18th-century Britain. I have since accepted this offer and am currently preparing to move to Newcastle to begin the PhD in October this year. I gave my first conference paper in 2013 – which was both exciting and terrifying. There were researchers from around the UK and USA present, including an expert in the field I was speaking on, so I was understandably nervous. It went really well, the questions weren't as awful as I feared they might be, and at the end of it I felt like I’d taken my first step towards attaining my future goals of becoming a lecturer and researcher. I think my conference paper mentioned above counts as one of the best, most exciting and fun things I've done so far. On a par with, or perhaps even above that, was my interview with Northumbria for my PhD place. I felt confident and happy, I enjoyed talking about my ideas and the potential for contributing to the research culture as a research student – it was a fantastic experience. I'm not sure I would do anything differently. I've enjoyed my time at University of Plymouth, achieved my goals, and had more opportunities to get involved and build on my experience than I had originally anticipated. My time at Plymouth has got me to where I am today, embarking on a new adventure to undertake my PhD – it’s a very exciting time for me and everything I have done up to this point, including the inevitable mistakes and difficulties along the way, has got me here. Go to conferences and research seminars put on by your department, as early as undergraduate if you are able, and try to immerse yourself in the research environment – see if you enjoy it and get some experience of being part of the research culture. If you are undertaking a masters, find an opportunity for giving a paper. It’s all great experience and gives you a talking point for personal statements and interviews, as well as giving you the opportunity to network and meet other academics. At a basic level, without my BA and MA, I wouldn't have the qualifications to undertake my PhD. However, without the opportunities to become involved in conferences and research seminars, without the help of my lecturers to continue progressing and developing as a student and a fledgling researcher, I wouldn't have had the experience or confidence to successfully apply for a funded PhD place. Even after I had completed my MA, my lecturers helped me with my PhD applications by providing references, advice, and even reading through drafts of my proposals. On top of all this, it has also provided me with the beginnings of a professional network which is fundamental for a researcher.